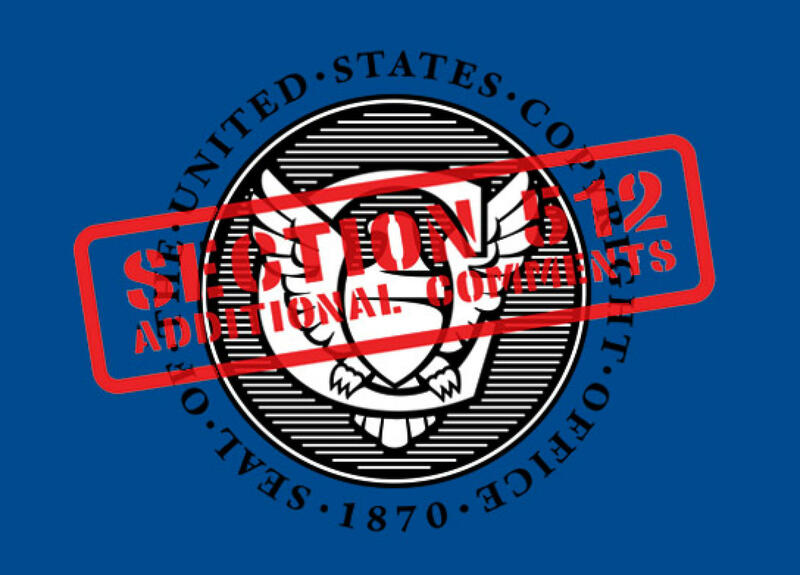 The U.S Copyright Office has requested additional comments in a number of different areas. Rather than addressing each area, I would like to focus my additional comments on one specific issue that came up repeatedly during the comments and roundtables: Access to Content ID. Specifically, I am commenting on Mr. Fred von Lohmann’s testimony pertaining to YouTube’s policy of preventing the vast majority of copyright owners from using Content ID for the express purpose of “blocking” illegal uploads of their work. Set forth below is my analysis of how and why YouTube is acting in an unacceptable manner, and why the use of its Content ID technology simply to block unauthorized uploads of full tracks or full albums should be considered a “standard technical measure” under the DMCA. I also comment on how YouTube’s policies and business strategies, to which Mr. von Lohmann testified, negatively impact important segments of our music and arts community, and our nation’s culture. 4. Therefore, YouTube has a vested interest in trying to stop Content ID from being considered a “standard technical measure” for protecting full tracks or albums from unauthorized uploading. Content ID is actually the exact type of technology Congress expected would qualify under the law as a “standard technical measure.” With section 512(i), Congress expected that a “Standard Technical Measure” like Content ID would be required under the law to be made available to all content creators and copyright owners “on a non-discriminatory basis.” As I point out in detail below, this is expressly stated in the law and the legislative history. An innovative American company, Audible Magic, created Content ID for the purpose of stopping piracy, and it’s been met with great commercial success. Unfortunately, YouTube has used: 1. Audible Magic’s technology; 2. Audible Magic’s brand name of “Content ID;” and 3. Audible Magic’s intellectual property –– as means to do the exact opposite of what Congress (and Audible Magic) had intended. That is, instead of allowing copyright owners to use it to block piracy, YouTube is leveraging that standard technology to turn infringement into a money-maker, first and foremost, for YouTube. And at the same time, YouTube is denying the majority of small musician/copyright owners access to the technology, if their wish is to “block” their copyrighted full-track or album property from illegal uploading. Not every musician wants to take part in YouTube’s self-serving scheme of monetizing infringement. Independent musicians who own their own copyrights and have not signed deals with labels/publishers connected to Content ID, are in desperate need of the Content ID lifeline. But rather than throw us the line they have in hand, YouTube treats Content ID like an exclusive country club, prohibiting copyright owners like myself, from using Content ID to block illegal uploads of our work. The YouTube Content ID system leaves the small guy out in the cold. And if I then use draconian DMCA measures available to remove illegal uploads of my work, YouTube then shames and stigmatizes me, by publicly “outing” me as the person who took down an upload. They even write, “Sorry,” outright apologizing to their users. These practices prevent many rights-holders, including myself, from filing takedown notices at all. And as discussed at length previously, the current “whack-a-mole” takedown procedures are anemic at best. 1. It is a technology pioneered by one company, namely Audible Magic. 3. It has slowly become an industry standard technology for blocking illegal uploads. YouTube tries hard to describe its Content ID system as an expensive, custom software system, but there is no question that the main backbone of the technology, and the basic concept of digital fingerprinting and “Content ID,” is essentially the same basic technology originated by and developed by the company Audible Magic. It’s a technology now being used by numerous major companies throughout the world. The fact that YouTube has now tacked on its own capabilities for “monetization” does not change the fact that the basic “digital fingerprint” backbone to this technology is a “standard technical measure” developed by Audible Magic already back in 1999. That technology has now been adopted by just about everyone else who has a need or vested interest in the technology. The “expensive part” that YouTube boasts about having invested in, is not the basic blocking technology, but rather the bells and whistles YouTube tacked onto Content ID for monetization purposes, a tool that reaps billions for themselves first and foremost. YouTube knows that if basic digital fingerprinting (for which Audible Magic coined the phrase, “Content ID”) is found to be a “standard technical measure” under the DMCA, YouTube will be required under the law to give all content creators access to it on a “non-discriminatory basis” for the purpose of blocking uploads. But right now, YouTube only makes it available on a highly selective and subjective basis, pursuant to secret terms, which are skewed to those who monetize with it. But by tacking on a few bells and whistles (even expensive ones), YouTube can’t avoid the intent of Congress –– that any basic anti-piracy technology everyone else uses, cannot be withheld from the majority of copyright owners on a discriminatory basis if that company hopes to benefit from the safe harbor. To allow YouTube to avoid STM status for its basic blocking technology because it has added bells and whistles is like saying, “well, we know we’re required to give antibiotics to all infected people, but our antibiotics don’t fit the technical definition of “antibiotics,” because we bundle them in a package with a thermometer, some lozenges, and a special cup.” That semantics shell game won’t work. Regardless of how YouTube bundles and packages its basic Content ID blocking technology, it’s in there, and it’s a basic standard technical measure to fingerprint and block the illegal uploading of content. YouTube’s denial of offering Audible Magic’s basic technology to rights-holders like me is, in my view, unethical and unlawful. C. We Don’t Need to Have a “Multi-Industry Standards Process” for there to be an STM. YouTube hides behind the language in the DMCA, stating that a “standard technical measure” (or STM) can be the result of a “multi-industry standards process.” Of course, YouTube knows well that this particular industry will never be able to agree on such an outcome, since it is comprised of market segments like ISPs, content creators, and worldwide digital publishers (like YouTube) that have diametrically opposed interests. Even getting the “industry” to the table, let alone in agreement, is difficult. So YouTube goes to bed at night with the comfort of knowing there will never be a “multiple industry standards process.” And in fact, 20 years after the passage of the DMCA, there hasn’t been any attempt at a “standards process” to come up with an STM, and there won’t be. 1. Like Audible Magic and Content ID, it is a technology pioneered by one company, namely Matsushita, to combat piracy. 2. Like Audible Magic and Content ID, the CSS technology was licensed and adapted by Matsushita over a period of years to a very large number of major corporations, first to Toshiba, and then to the other major companies like Sony, Panasonic, IBM, Time Warner, Disney, etc. 3. Like Audible Magic and Content ID, CSS slowly became an industry standard technology for combatting piracy. It’s an exact parallel to Content ID. And I must point out that it is not just me who is suddenly making an argument that basic digital fingerprinting (e.g., YouTube’s Content ID) is an STM. I’m not just a crazy jazz musician out of her league in suggesting this. In fact, legal scholars have asserted this long ago. For instance, Lauren G. Gallo, in an article in the Columbia Journal of Law & the Arts in 2010, even before digital fingerprinting had taken a hold of the industry like it has in the past five years, set forth a very clear case that indeed, that Content ID is an STM. 34 Columbia J. L. & Arts 283 (2010 – 2011). And it is noteworthy that Ms. Gallo, thanked none other than Fred von Lohmann himself in her acknowledgments for his “helpful feedback and suggestions.” This was obviously before Fred von Lohmann was employed by Google as legal director for copyright. Ms. Gallo also thanked Professor Jane Ginsburg, one of the foremost copyright scholars in the world, for her suggestions. Thus, don’t take it just from me, take it from the legal authorities who have pointed out that digital fingerprinting is clearly an STM. Based on the foregoing, I urge the Copyright Office to consider making a finding in its report as follows: the widespread adaptation of basic digital fingerprinting technology, which was initially developed by Audible Magic, and has now been licensed and adopted in some form by just about every major company (including YouTube, Facebook, SoundCloud, Veoh, Vimeo, Viacom, DailyMotion, AOL, etc.) has evolved to the level of an STM under the DMCA. And although certain enhancements to that technology (e.g., YouTube’s monetization dashboard and functions) might not yet be so standard, the basic capability of identifying and blocking unauthorized uploads is in fact, standard. Adding bells and whistles to the basic backbone of the technology does not somehow protect that backbone from being considered an STM. I also urge the Copyright Office to report to Congress that digital fingerprinting has achieved the status of a “standard technical measure,” and that such a finding should be reflected in any legislation to update copyright laws. Recognition by Congress and/or the courts of that one simple fact would do a considerable amount to bring balance to the rights of musicians and creators. It would help keep piracy on platforms like YouTube in check, and would allow for a more open and fair marketplace where it is more likely musicians and creators can receive the fair market value of their creative works. I urge the Copyright Office to take a leadership role in recommending and endorsing such a finding. Such a finding would provide an immediate and powerful remedy for the majority of complaints lodged by content creators with regard to the ineffectiveness and inefficiencies of the DMCA. It would immediately balance the power of major corporations with the rights of the small content creator like me. It would greatly reduce the whack-a-mole problem that plagues the industry, especially for small and independent artists. It would also greatly reduce the huge number of takedown requests companies like YouTube are forced to process. And when applied to full length tracks and album uploads (which is the main issue), it would invoke not a single fair use case. Without such a finding, simply by packaging a basic technology with other features or functionalities, YouTube is permitted to avoid any finding of an STM. That’s obviously not what Congress intended, and that’s obviously not fair. D. Google Has No Real Argument that Content ID is not an STM. Of course, YouTube will fight tooth and nail to prevent Content ID from being categorized as an STM, as that might put dollars and control back in the hands of the individual and small content creators, who are currently being fleeced. When Google’s main copyright counsel, Fred von Lohmann, was asked about Content ID at the roundtable hearings, he gave testimony to the Copyright Office that I found to be wrong and highly prejudicial to small copyright owners. I am compelled to comment on that to correct the record. Transcript, pp. 83-85. He also stated that YouTube makes its own subjective, non-transparent assessment of whether it believes it is reasonable for a particular copyright owner to have access to Content ID. Part of this determination, Mr. von Lohmann says, is whether YouTube believes the musician “has a sophisticated understanding of the legal concepts.” Transcript, pp. 85-87. 1. Many of us want to “block” uploads, not “monetize infringement.” The folks at YouTube, always steer the conversation away from the blocking part of Content ID to the monetizing part of Content ID. I have talked with various people who work with Content ID, and I have been assured that the Content ID system for blocking is not complex at all. Only because YouTube’s “dashboard” includes monetization, does it get tricky when you have various rights-holders, etc. I’ve been told that that monetization part can be quite complex, yes. But, on the other hand, the people I’ve talked to were working for companies that are handling the digital rights of huge catalogues from many many record companies. They are juggling a veritable sea of rights-holders, and are largely “monetizing” those catalogues. However, these people I’ve talked to say, for “blocking” uploads of full tracks or full albums, using Content ID is very straight forward –– and that loading the music into the system is also easy. Only because YouTube has buried the basic and original blocking function into the dashboard for monetization, does the whole system become tricky. But there’s not a whole lot to get confused about when it comes to “blocking” with Content ID. It doesn’t require “a sophisticated understanding of legal concepts” to know that when you pay for a record, compose the music, and own that record, and discover it suddenly uploaded to YouTube or anyplace at all, that it’s illegal. Even a songwriter, who is a co-writer among many –– unless he or she has granted permission, he or she has the right to block an upload. So those rights, while sometimes complex for monetization, are not complicated at all for blocking, where a single rights-holder has the right to block or remove something for which they never granted rights. Go to Audible Magic’s site, and see how they make blocking possible for any rights-holder, free of cost! They don’t warn that it’s too complex. Of course being able to use Audible Magic’s tool depends upon a willing ISP or site. But YouTube is not such a willing participant, and refuses to allow me to use anyone else’s technology on its site. It’s their way or the highway. I’m stuck with their own amped-up version of Content ID, and their subjective decision to deny me access to it. Meanwhile, YouTube loves to brag about how many of their Content ID participants choose to monetize piracy rather than block piracy. Well, remember, musicians like myself, who aren’t accepted into Content ID for blocking aren’t in YouTube’s skewed survey group. Speaking to record companies and distributors who use Content ID has shed light on these statistics. When I’ve asked these Content ID participants, “Are any recordings really making any significant money through monetizing?” Some said a flat-out, “no,” and some said it’s rare –– but they each expressed that the collective field adds up to something for the labels and the digital distribution platforms. The large labels and aggregators benefit somewhat from their large catalogues, even if most of them express the individual royalties are very weak. But for independent musicians like me, there is zero rationale for trying to monetize with YouTube’s amped up system, even if we were given access to it. For the vast majority of musicians in jazz, classical, folk, reggae, roots, Latin, world music, and beyond, we will never receive any significant revenue from YouTube, and it is a platform that directly competes with our own sales where we actually can make real revenue. Many creators deeply resent being used by companies for “monetization” of the collective whole. I know YouTube has its YouTube “stars,” but personally, I have yet to meet any single musician who has expressed anything but disdain for YouTube’s monetization system, and I know a lot of musicians –– a lot of great musicians. 2. Musicians Are Not as Stupid as Google Apparently Thinks. Fred von Lohmann says the Content ID system is too complex for many of us to use. However, small content creators learn and use extremely complex software systems such as ProTools, Finale, and Sibelius, just for starters. These software programs all require extensive training and are often required tools to practice within our profession. Surely, each of these software programs is orders of magnitude more complex than Content ID. I would like to see YouTube submit an “empirical data study” (since it seems motivated to fund those) that shows that professional musicians like myself were not able to learn to use the Content ID system to “block” unauthorized uploads of full tracks. The real irony is that YouTube clearly judges the general public to have a “sophisticated understanding of legal concepts,” but inversely concludes that musicians and other copyright owners don’t have that same “sophisticated” understanding. After all, YouTube allows any person, of any age or nationality, and who lives under any kind of copyright law, to upload any creator’s music, without being asked one single question. And YouTube knows well that millions of those uploading users are justifying the uploads with bizarre justifications of “fair use” and other copyright law pronouncements. Funny how things work when it all benefits YouTube. Funny how they don’t even mind dealing with all the resulting billions of takedowns. That just reveals just how absolutely massive the pay-off from this scheme must be for them. To allow this onslaught, and in the same breath judge music creators as not being sophisticated enough at the same legal concepts to simply block those uploads, is beyond insulting and shows YouTube really grasping at straws to protect its cash cow. And, even for monetization, that YouTube claims is so complex (where there are various rights and rights-owners to assess and account for), I must point out that most musicians are already required to have a pretty sophisticated understanding in this regard. Independent artists already assess the “rights” on their own albums. For instance, in most cases, we hire the performing musicians ourselves. We clear the rights. When we record works by other copyright holders or co-write works, we pay out mechanical royalties (a royalty that YouTube somehow manages to skirt), we negotiate shared royalties, and we deal with a host of complex legal issues while self-producing and distributing our own records. So generally, we intimately know all the rights-holders on our own records, and we know what rights they are due. It is indeed ironic to look at what YouTube finds to be “too complex.” For instance, there is no subject or legal analysis more complex than a “fair use” analysis. It even confounds many expert copyright lawyers. Yet YouTube feels it is perfectly fine to train an international population of its users on fair use principles with a twenty-second speech delivered by Fred von Lohmann from a toilet stall right after he flushes the toilet. YouTube deems that as adequate training. I wonder if YouTube trains rights-holders to use Content ID from a toilet stall in twenty seconds? 3. There is No Fair Use Quagmire with Uploads of Full Track or Full Albums. YouTube loves to flaunt the house of mirrors known as “fair use” as an excuse to keep its Content ID in a secret club. But when it comes to full tracks or albums, there is no fair use argument for uploading to YouTube. I am sure Mr. von Lohmann would agree on that specific “legal” point. But he conveniently left that fact out of his toilet stall speech. So it would come as no surprise, that when searching an artist or group name, like “Radiohead,” and “full track” on YouTube, the search brings up and hundreds of thousands of results. Certainly, if Google is launching self-driving cars and space vehicles, it can make a basic Content ID tool available to every copyright owner to block full-track and album uploads. Transcript, p. 84. But contrary to Mr. von Lohmann’s calming reassurances, Content ID is not available through third parties, if the rights-holder is looking solely to block uploads. Mr. Lohmann knows full-well that the partners he’s speaking of aren’t in the business of blocking uploads for free. Yes, they may do blocking here and there, but as YouTube has itself pointed out, most the content put through Content ID is monetized. Of course that’s the case. What motivation would a third-party company have to take on thousands or millions of creators catalogues, when there’s no “monetization” for them to skim their share from? Corporations that rely on user generated content to become rich and powerful, should have to pay the basic costs of protecting creators’ rights. No rights-holder should have to pay a penny for it. In the U.S., we would expect our major companies to safeguard the basic community against things like piracy and illegal activity. Clearly, Audible Magic wholehearted agrees. Companies that are willing participants with Audible Magic pay the cost, and it’s a very reasonable cost. Of course, YouTube is not such a willing participant. YouTube only deputizes third-parties you can work with only if you succumb to monetizing infringement for a portion of your work. It’s an insane racket from the perspective of someone like myself. Transcript, pp. 93-94. Why does YouTube even need to get to that step? Why doesn’t YouTube simply privately inform the user that the content they uploaded was taken down due to a copyright claim, and privately offer the contact for the person that did the takedown, so the user can reach out if they feel there is valid reason to dispute it, or if they simply wish to understand the reasoning for their own education, or even if they’d wish to discuss paying a licensing fee? What’s the need for the public placeholder posted in perpetuity? There is no need. Firstly, note that he exposes his prejudice in his statement, “it’s a good idea to say who took down YOUR CONTENT,” by referring to the content as somehow belonging to the uploader in the face of a DMCA takedown. But we know that the vast majority of the time, takedowns are legitimate, and when it’s a full track or album upload, it’s virtually 100% sure that that the content does not belong to the uploader. And why on earth would Mr. von Lohmann think that when content is removed, that “the world has a right to know who sent the notice.” It actually solidifies what every creator feels when YouTube brands them with their scarlet letter/frownie face. Mr. von Lohmann reveals that he believes it’s his duty to expose creators as having taken something away from the world. In the end, this is a power game for YouTube to manipulate our fans –– to turn our fans against us when we assert our legal right to protect our property. The result YouTube is clearly hoping for, and achieving quite effectively, is that many creators skip doing DMCA takedowns out of a fear of fans hating us. Many give up and bend over en masse and succumb to monetizing, rather than face policing mountains of infringement. This practice of shaming us before our fans makes us feel like we’re displayed in stocks at the town square. It’s almost that medieval, and it shouldn’t be allowed. I was actually happy to see Mr. von Lohmann offer his true opinion on this subject. It reveals a lot. It’s also amazing to see what he/Google thinks “transparency” is, and what “communication” is. Transcript, pp. 94. However, I’ve explained here in great detail why someone like myself wouldn’t go through an agent. And in any event, based on what Mr. von Lohmann testified to, I recently looked into if and how, creators can disguise themselves so they won’t be “outed” and shamed. Once again, Mr. von Lohmann’s testimony is not true. It’s misleading. For example, a musician friend of mine filed his copyright claim with a username instead of his real name, but then when I did a search for his username on YouTube, his YouTube Channel came right up, showing exactly who he is. So that’s just useless jumping through hoops for any musician. Let’s say this: we can’t figure out an effective way to do what Mr. von Lohmann describes, and should we have to spend the time to try, when YouTube could make this very simple? An artist shouldn’t have to do endless research to try and think of some clever hack to avoid being “outed” by YouTube. Similarly, we shouldn’t have to succumb to paying a third party to disguise ourselves in order to avoid being shamed in front of our fans by YouTube. There are many ways in which takedowns could happen in a productive way, where all communication would be private and effective. Here’s an example: There are numerous performances of my musical compositions uploaded to YouTube by high school, university, and professional groups. None of them asked my permission, and their performances are competing with my own. If in doing a DMCA takedown, I could privately write a note directly to them saying, “I cannot allow a full performance of this work because it competes with my own work in which I am thoroughly invested. But, I appreciate you performing my work and would like allow you to do a two-minute excerpt, perhaps mixed in with other work from your concert,” it would be a win-win for both of us. But just a cold poster with my name slapped onto YouTube, apologizing to the public? What positive result comes from that, except stoking YouTube’s self-serving narrative they push on the world. The entire ecosystem of YouTube is highly imbalanced –– benefitting YouTube to the tune of billions. Their users, worldwide, are free to upload whatever they want –– no questions asked –– with no measures put in place to proactively protect many rights-holders like myself, even though very effective protective measures not only exist, but YouTube uses them daily to serve its own purposes. There are endless musicians like myself –– workaday musicians –– committed every day to our work, honing our craft, putting our music out into the world, and trying to make a living. We are desperate. We can’t fight this YouTube upload tsunami. Many of us are GRAMMY-winners, Pulitzer Prize-winners, MacArthur Genius Grant-winners, Guggenheim Grant-winners and more, but don’t have audiences anywhere near the size necessary to annually earn even the first $100 from YouTube. Without exception, we are struggling. We teach, and we find our lessons illegally uploaded –– we write books, we find them uploaded –– we perform, and our concerts are live-streamed or recorded and uploaded –– our work appears on YouTube within minutes of releasing it, and we are stigmatized if we remove these things. All the while, Google plays “the hostess with the mostest,” guiding the world to an endless buffet table of illegal content –– platform after platform –– none being required to protect us with technology that is actually readily available. We are all just trying to get by, working hard to support ourselves and our families. We should all have the potential to do far better than “just get by.” We collectively contribute not only to this country’s culture, but to our world’s culture in immeasurable ways. Do we also owe Google our property, our investments, and the content of our bank accounts? Collectively, we musicians are without question, a force for good in the world. Yet we are left with no way to proactively protect ourselves and our life’s work –– to protect our property, against this behemoth “rogue enabler of content theft.” Why would the vast majority of a public pay for music when they can easily listen to literally all of it for free on YouTube, with the option to then rip their own CDs and downloads right from YouTube’s site, or search and find it for free using Google’s search engine and do the same? It’s beyond high time to require companies to use the technology that exists to make this bleeding stop. It’s my hope that the Copyright Office will take this opportunity to make recommendations and findings in its Report that will simplify this process, and address the grim reality that YouTube’s policies and practices are not in accordance with the law. Its actions skew the entire industry. YouTube is indeed the elephant in this room. And musicians are left behind, holding the brooms. Thank you for providing me the opportunity to correct the record with regard to the statements made by YouTube in the recent roundtables.